UN mediator at the Geneva peace talks Lakhdar Brahimi has announced that Syria will allow women and children to leave the besieged area of Homs “from now”. Syrian Deputy Foreign Minister Faisal Mekdad said women and children were free to leave. He alleged armed groups were preventing them from leaving. Lakhdar Brahimi said that the opposition had agreed to give the government lists of detainees held by armed groups. He said it was “too early” to assess the prospects of a comprehensive deal. Lakhdar Brahimi admitted the talks were proceeding slowly but said that on Monday he “expected the two parties to make some general statement about the way forward”. The envoy said he hoped a humanitarian convoy from the UN and the Red Cross would be able to go to Homs on Monday. 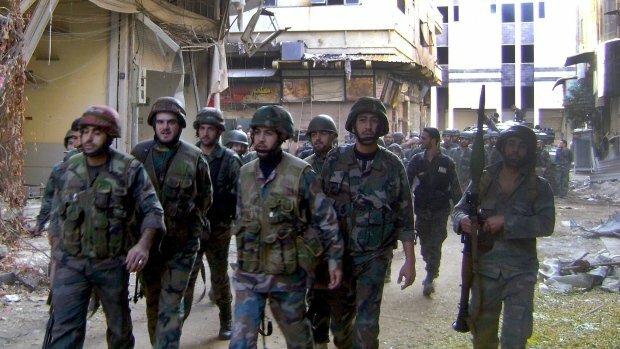 Hundreds of people are reportedly trapped in besieged parts of the city, including some who are very ill.
Faisal Mekdad said he hoped arrangements could be made with local officials to allow the convoy access but that the aid must not fall into “the hands of terrorists”, the term Syrian officials for all armed opposition. Lakhdar Brahimi said that the government would allow women and children to leave immediately but had asked for a list of adult male civilians who wanted to leave to ensure they were not fighters. The envoy said the opposition had pledged to gather names of detainees from groups it had “authority over or contact with” but admitted that this did not include all anti-government groups fighting in Syria. The opposition in turn has been asking for the release of thousands of prisoners in government detention. Lakhdar Brahimi said the talks in Geneva had taken the form of a joint session with the government and opposition in the morning before he met the sides separately in the afternoon. He added that he expected this pattern to be repeated on Monday. Lakhdar Brahimi said he had been encouraged by the atmosphere at the talks on Sunday, saying they had been characterized by “respect and exchange”. No direct words had been exchanged between the delegations but the two sides were talking to each other through him, Lakhdar Brahimi said.